14K Solid Gold Ladie's Onyx Design Bracelet. This is one of the most beautiful and unique onyx bracelet designs. 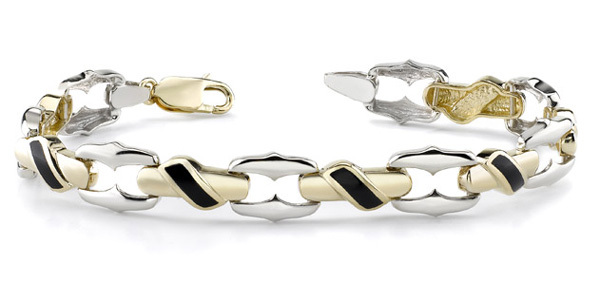 We guarantee our 14K Gold Ladie's Onyx Design Bracelet to be high quality, authentic jewelry, as described above.